I had a hard time coming up with something for The Daily Post’s latest challenge. For this ‘Repurpose’ challenge, we were supposed to show something we have put to new use, then I remembered my pendant made from an AK47 bullet. It’s a great conversation piece, but too risky for as a fashion statement. This entry was posted in Photography. Tagged Jamaica, Weekly Photo Challenge. Risky indeeed! Interesting bead color choices as well. 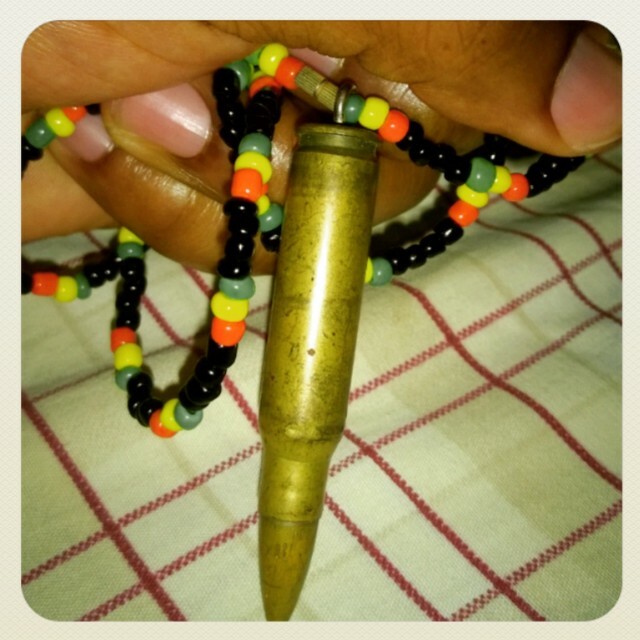 Yea, representing for Africa with my beads. Thanks for visiting my blog.